Homemade energy drinks will give you great energy all day long! Add a bottle of Xtra Sharp herbal tonic along for at work or at school to give a quick boost if tired, and extra focus. David Lee is co-owner of the restaurant called Nota Bene. Why does he make this drink? "It makes me feel better, gives me a noticeable, sustained energy boost and provides my body with a slew of vitamins and minerals. It tastes pretty good, too." If you have a juicer or blender that's ready to go, this drink will give a fresh boost to your system. Wash all ingredients and cut into 2-inch pieces. Juice with a juicer, or mix at high speed in a blender. Use this as a basic recipe for your own homemade energy drinks by adding different fruits and vegetables. Why add a Stay-Alert natural Energy Drink? Can't always do home made while on the road or in the office or gym? 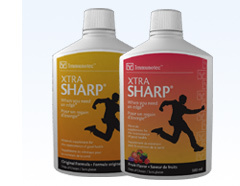 Try Xtra Sharp, a new herbal drink that's good for you! This mineral tonic acts in MINUTES to disappear tiredness, improve your performance by keeping you mentally ALERT, without caffeine or sugar – AND without the crash! • You don’t have to risk your health with sugar, caffeine, ephedrine or worse, to get that edge! • This mineral-herbal new drink invigorates refreshes and restores you physically AND mentally. This Herbal remedy tonics with antioxidants increases stamina, reaction speed, concentration and mental alertness. Stock up to keep handy in your car or in your desk -- you won’t need to stop at the convenience store for “killer buzz” anymore!! "When I take Xtra Sharp I feel less scattered and more calm and centered as a result and I don't need a medical ADHD treatment like Ritalin which does not agree with me." David H., Toronto, Sales Rep. Need to be your best? Just feel tired first thing in the morning, have a mid morning dip, or brain fog in the afternoon – or you simply need more energy to get through the day? • You might try a HERBAL energy boost supplement rather than a sugar and caffeine rush for a quick pick-me up. Unlike energy boosts from the convenience store, where you have to drink 8-10 oz of liquid with 8 teaspoons of sugar, you can instead have a "shot" of herbal tonic. An energy tonic invigorates, refreshes and restores you physically and mentally without the "let down" effect of sugar and caffeine. How? HERBS, VITAMINS and ANTIOXIDANTS: Recommended are formulas that that boost with minerals such as potassium, magnesium, calcium, iron, and an energizing assortment of herbs and plant concentrates for mental focus – loaded with antioxidants! And if you are diabetic, there are certainly great energy boost formulas with NO SUGAR. Herbal remedies have been extensive researched for stamina and mental clarity. Chamomile, Passion Flower, Damiana, Angelica, Sarsaparilla are included for overall wellness. 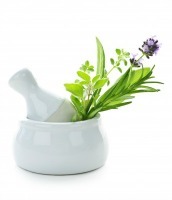 Look for herbal remedies that are blended and balanced to contribute to your overall wellness. Today’s modern tonics can give an energy boost, but give it naturally when taken daily by the spoonful, gives you a boost AND contributes to your overall wellness. It gives you energy WITHOUT depleting your body’s resources. Even one ounce of this Herbal Remedies Energy-Drink can be fast acting. At any time you are overcome by a headache, fatigue, allergy symptoms, or simply need a mental lift, a herbal energy-drink can come to the rescue. Rather than going the convenience store for fast energy zap that are not good, you can be proactive. Easy herbal remedies energy-drinks are ideal to have handy in your desk, bag, car or truck if you cannot spend time near your juicer! You may ASK US for details for buying Xtra Sharp wholesale energy drinks, or about starting an energy drink business. We hope that you will make some of your own home made energy drinks because fresh and natural is always best! But for on the road and at your desk, try some of the energy drinks reviewed that don't depend on sugar or on caffeine. And for teens and adults with ADD and ADHD, Xtra Sharp can decrease your dependence on meds and adhd medication side effects as a help with your ADD treatment. Sure, drink your coffee, but herbs and minerals in the new energy drinks can give a longer lasting, SMOOTHER energy! So go ahead, and try the new, natural energy drinks for better health and keeping alert!! This herbal tonic boosts performance and focus, with fast-acting antioxidants that get absorbed in minutes! • Order a Month's Supply in a Handy Bottle -- to have a month’s supply handy saves money so you won't need that impulse “killer buzz” from the convenience store! • WHY NOT USE SUGAR for Staying Alert and Awake?